There are over 17,000 islands in our beloved country Indonesia. Only 8,844 of those has been named and less than 1,000 has been permanently inhabited. Population size was 249.9 million people in 2013 and there were more than 500 different dialects being spoken. A country of diversity. An archipelago of beauty. A growing giant in technology. It doesn’t take a lot for us to be amazed by the wonders of our own nation: the fascinating Indonesia. With rapidly growing GDP per capita, we’ve also been seeing more and more lavish lifestyles being enjoyed in Jakarta, our capital city. From the rarest watches to the most expensive handbags to the fastest automobiles; there’s been an unstoppable demand for luxuries. 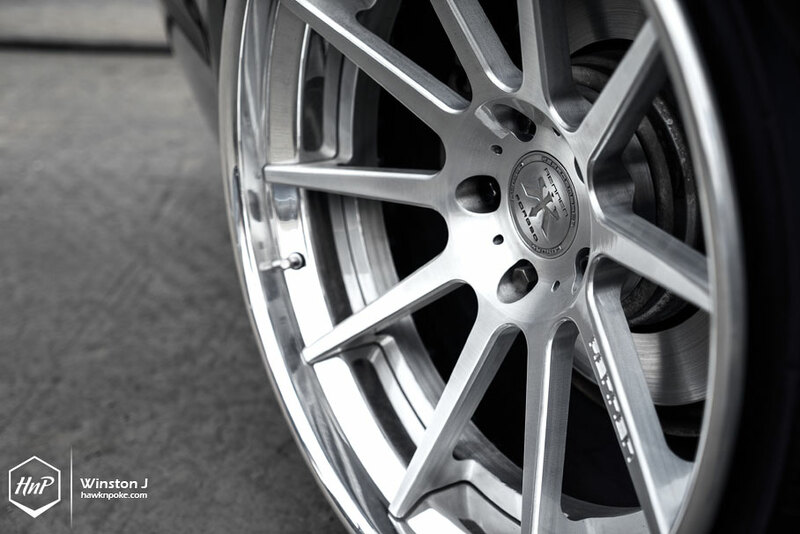 When it comes to the car communities, we’ve also been seeing more and more outrageous builds being done. Nowadays $10,000+ wheels are staples, RWB Porsche’s are a plenty and slammed Lamborghini’s are starting to be seen. It’s time for us to make our car communities known globally. All these bring us onto today’s fabulous and lavish build by William. 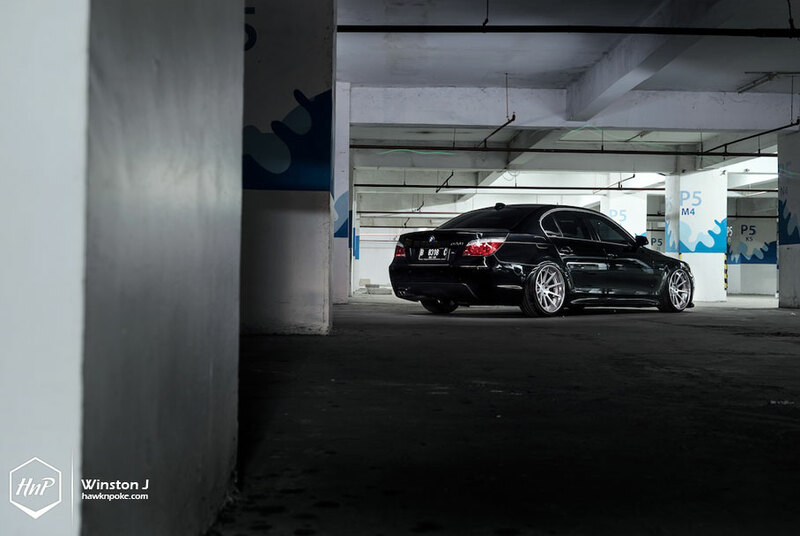 Whereby most BMW owners over here are still relying on coilovers, William has became one of the few who took the plunge for a complete air suspension system. 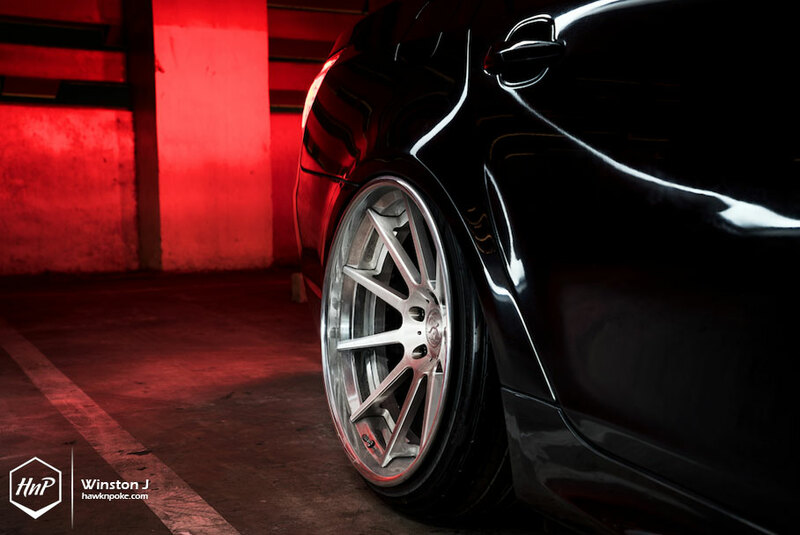 Along with it he has also installed a set of aggressively sized Rennen Forged Step Lip x Concave wheels. 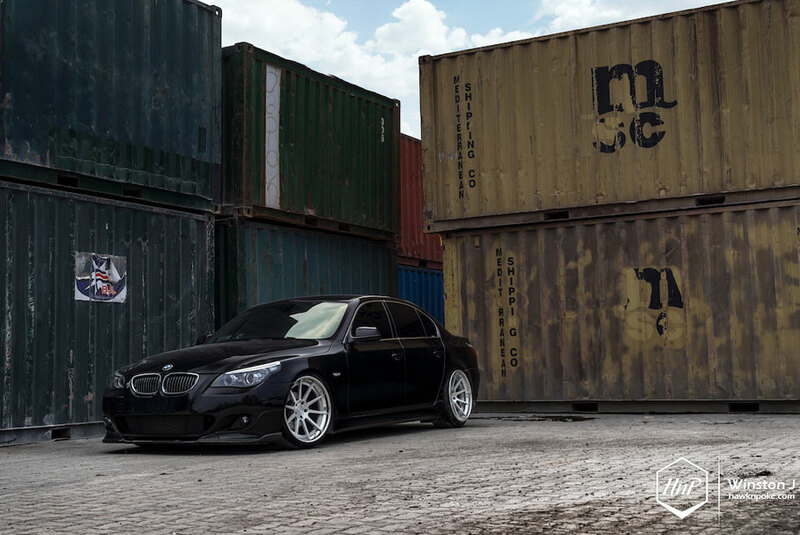 A killer combo in search for the cleanest and lowest E60 title in town. Just right. 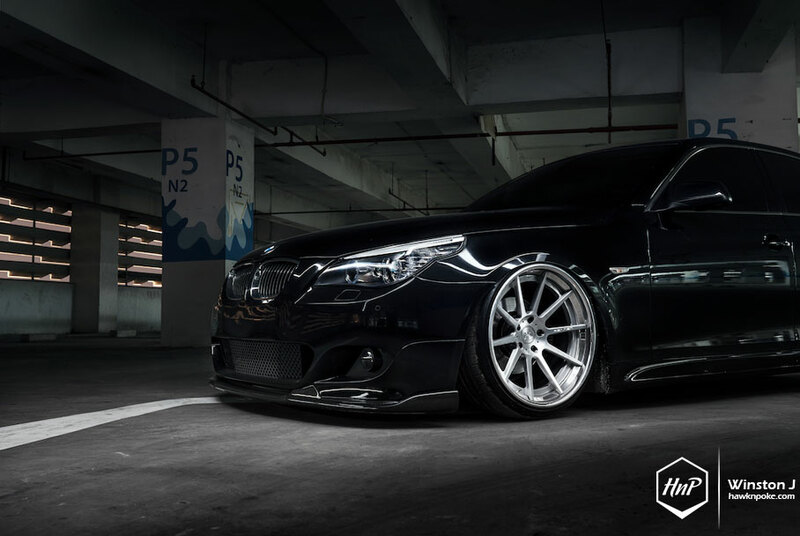 There’s always a great presentation being done whenever an owner chose to pair his deep black ride with a set of silver/polished wheels. Like steak and potatoes, cereals and milk. A combination tried-and-true which works well every time. 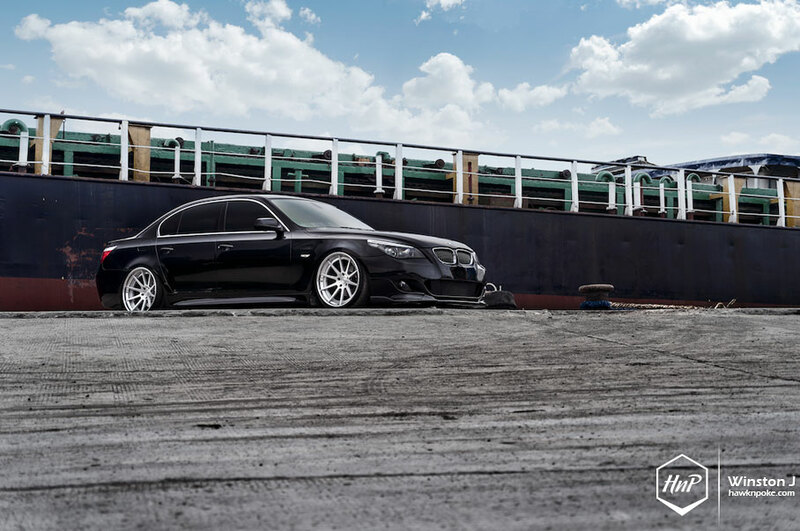 Couple that with the aggressive drop and sensational wheels fascia, we’ve got a competent global challenger over here. 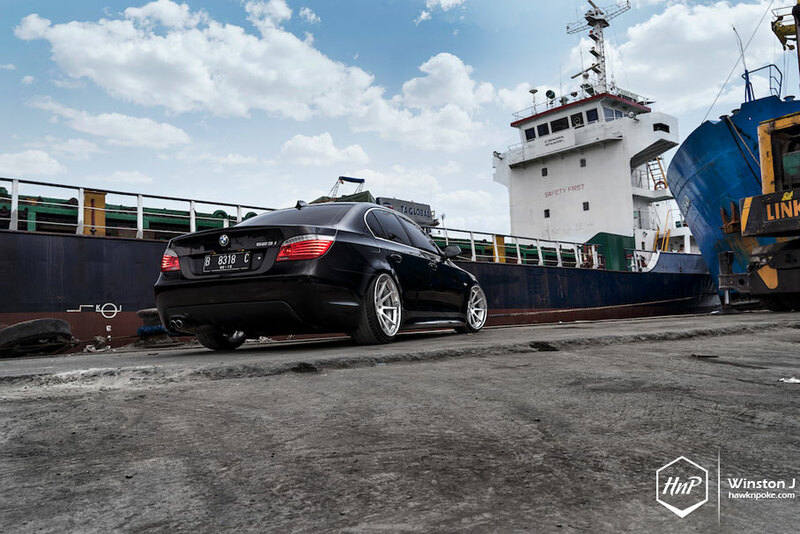 A shout from Indonesia to all the other E60 owners out there. 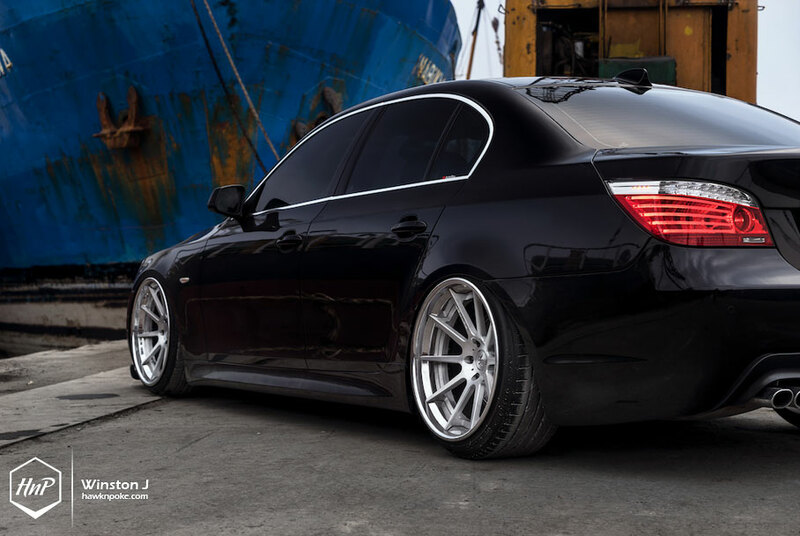 But why air suspension? Hadn’t most owners denied the system for being overly complicated and downright unreliable? 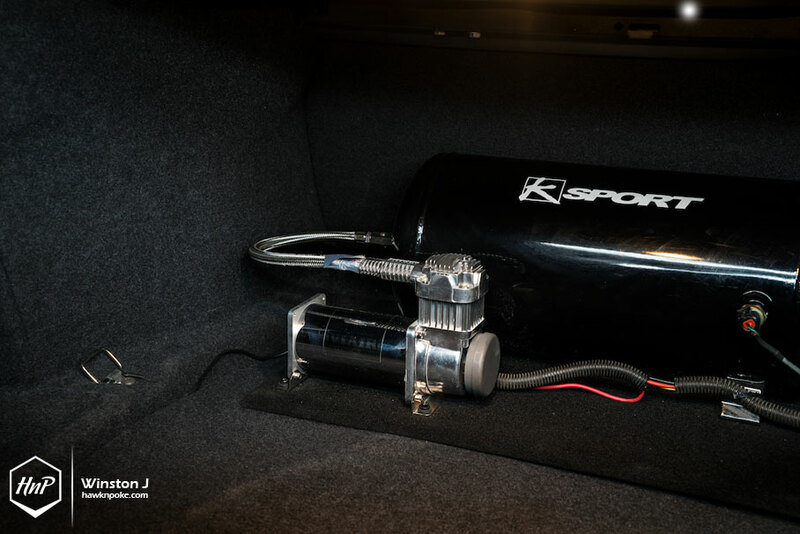 This time William trusted his suspensions setup to KSport and AccuAir. 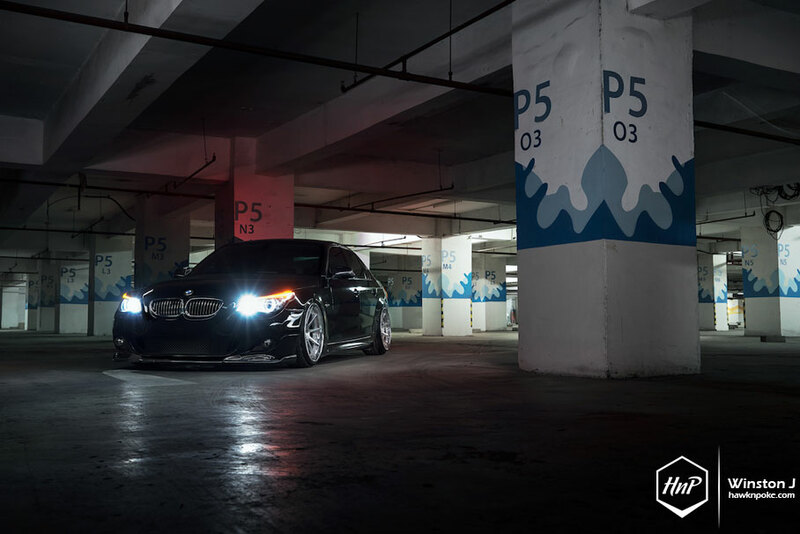 Yes, airbags are more delicate when compared to coilovers, but their versatility and durability has greatly improved over these years. 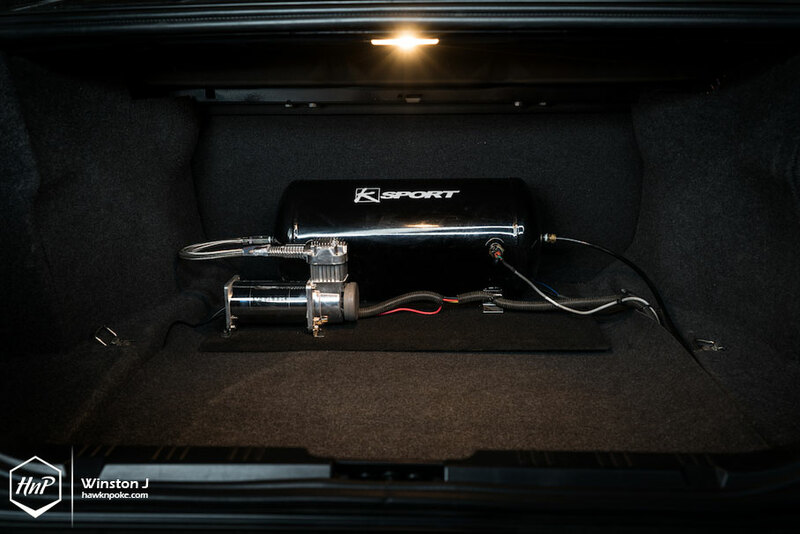 With some proper maintenance and installation know-hows, an air suspension system can be just as good as coilovers’. 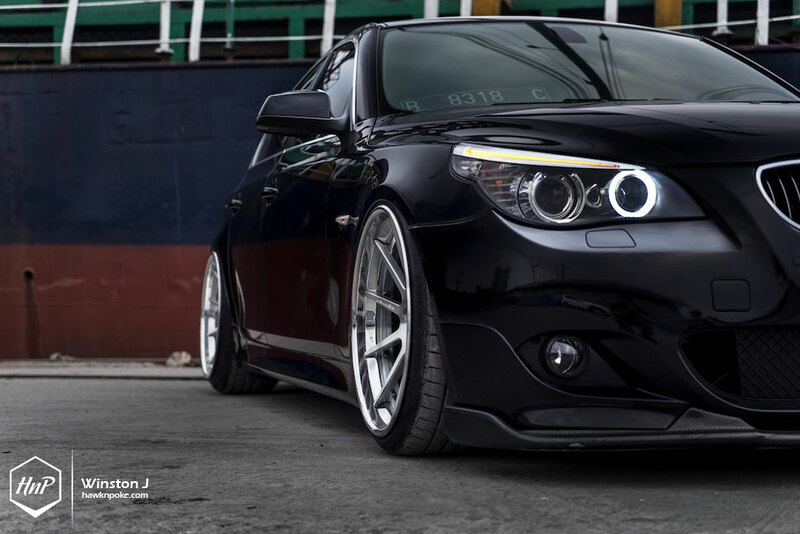 Minus the firm ride and occasional front-lip scrapes of course. A day to remember. Like most of us here in the car scene, William didn’t start right away with such a variable-height setup. 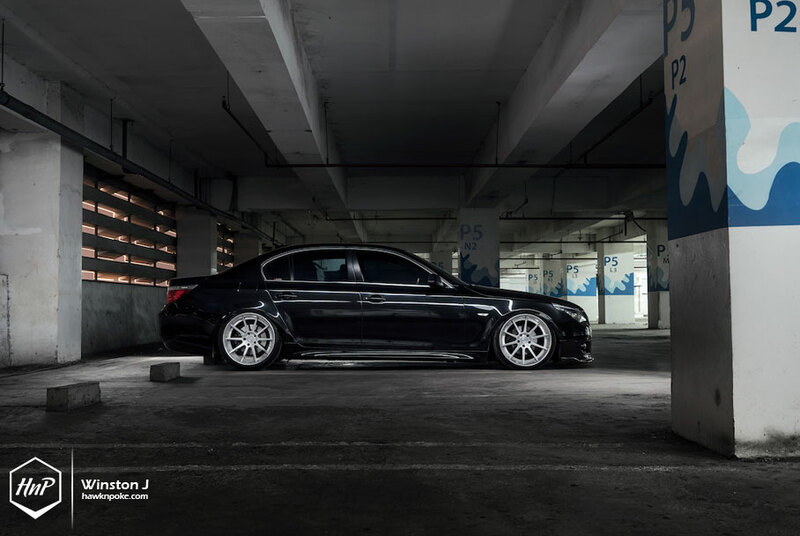 There was a time when he’d cruise the streets with his aggressively static-lowered E60. Scraping lips and doing three-wheelies on slopes. Such a setup lead him to an unfortunate incident as he crossed one of our city’s railway junctions. Unavoidably, he lost the side skirts due to the scene and since then planned for the air suspension setup. 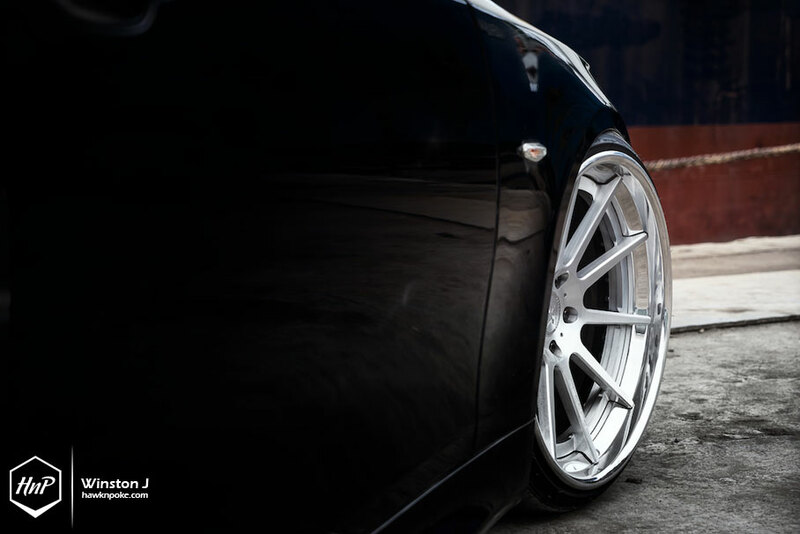 Will air suspension’s popularity ever catch up to coilovers’ success in the market? Only time will tell. 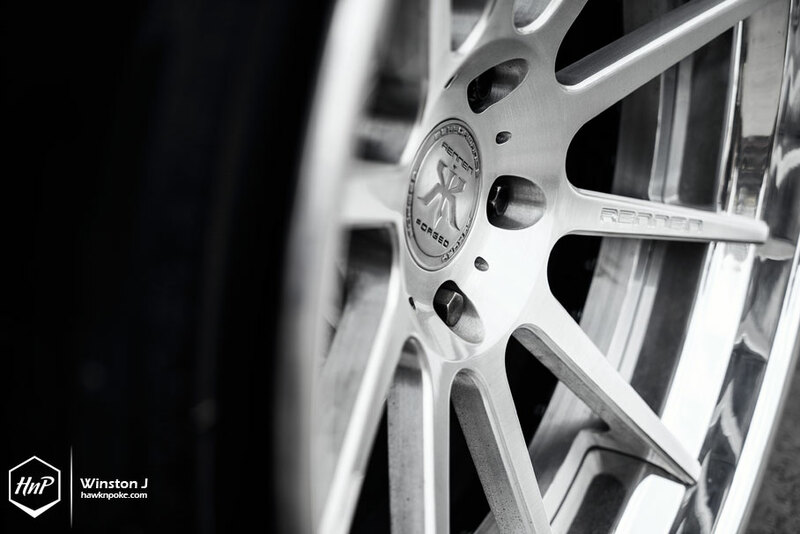 If those companies will ever be able to produce bags that are as resistant to dirts, gravels and harsh bumps as coilovers, with comparable handling capabilities, then surely their time will come.